Posted on Friday, November 23rd, 2018 at 9:48 am by Dmitry Kostochko. Our flagship product was used to be the first to support new features and new Office versions. This time, we are a bit late and apologize for the delay. 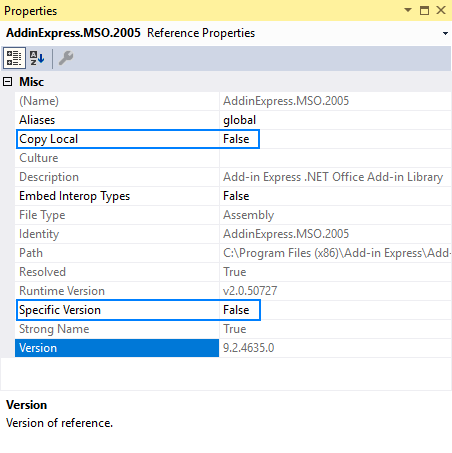 Nevertheless, version 9.2 of Add-in Express for Office and .net is published, and we now announce full support for all versions of Office 2000 through 2019 32-bit and 64-bit. In terms of functionality, Office 2019 does not have any noticeable changes. The only change that is probably worth your attention is that our list of supported applications is now one item shorter. It is because Microsoft has removed OneNote from the Office 2019 Suite. More precisely, they replaced the desktop version with a UWP one and, as you know, COM add-ins do not work in UWP applications. Of course, you can still download and install OneNote 2016, which is desktop and supports COM. More information can be found in OneNote 2016 is missing after installing Office 2019 or Office 365. Everyone who has an active subscription of version 9.x of Add-in Express for Office and .net can download v.9.2 from this page and activate it with the current license key. As usual, you can upgrade from any previous version for 50% of the full price. How do I add support for Office 2019 to my existing projects? Update the Add-in Express loaders. To have it done, simply click Add-in Express -> Register in Visual Studio. During the registration process, you will be prompted to replace your current loaders with the latest ones. Rebuild and re-test your project. Thank you for your attention and happy coding!